Europe’s status as a substantial importer of energy is well known, but what is less known is that the rate of dependence on oil imports is much higher compared to its dependence on imports of natural gas. Europe’s status as a substantial importer of energy is well known, but what is less known is that the rate of dependence on oil imports is much higher compared to its dependence on imports of natural gas. While the European Union (EU) imported about two-thirds of its natural gas supplies in 2013, it imported nearly 90 percent of its oil needs in the same year. However, Europe’s energy security concerns mainly focus on its dependence on natural gas imports, mainly because of the heavy concentration of imports among few suppliers and infrastructure constraints on for diversification. Given that the global oil market is fungible, the energy security implications of Europe’s high rate of oil import dependence are generally not seen by policymakers to be as acute compared to natural gas. Yet, Europe’s oil supply and demand balance is a significant issue regarding Europe’s energy future. As the largest oil importing region it is vulnerable to sizable supply shocks and price volatility. 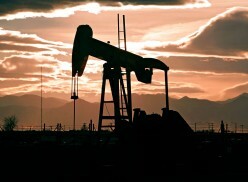 There may be little prospect in the foreseeable future to reverse falling oil production, but demand-side solutions can be more actively deployed to reduce the region’s dependence on imports, addressing policy objectives regarding energy and economic security. 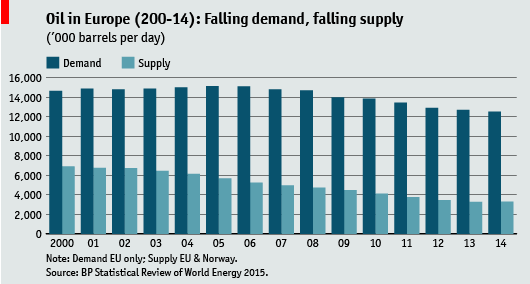 Europe’s oil demand and supply picture needs to be put in context. The EU is the world’s largest oil-importing region. It is also, after the US, the second largest oil consuming market in the world (although China will displace it in the next few years). But EU oil demand actually peaked ten years ago. In 2005, it reached 15.1 million bd, but by last year had fallen to 12.5 mbd, a drop of 17%. The decline in oil demand in most OECD economies has been quite dramatic over the last ten years, with consumption in the EU, US and Japan falling by a combined 5.4 mbd between 2005 and 2014. The EU is the world’s largest oil-importing region. 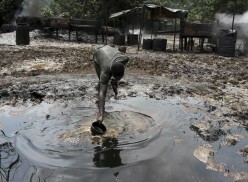 It is also, after the US, the second largest oil consuming market in the world. The transport sector accounts for about three-quarters of the EU’s final consumption of petroleum products, and demand in this sector has been falling among Europe’s major economies. Fuel efficiency improvements for vehicles and high fuel costs (due to steep retail taxes) have put a dampener on consumption, while the global economic crisis and its aftermath took a toll on energy demand generally as well. There has also been contraction in oil consumption elsewhere: output from energy-intensive industries has fallen, households are more energy efficient or have switched to other fuels (such as natural gas) for heating, and petroleum is being phased out in the power sector. In 2015 the decline in Europe’s oil consumption may have been temporarily arrested, due to cold weather in the early part of the year and lower oil prices, but oil demand will resume its decline in 2016, albeit gently. The Economist Intelligence Unit expects OECD Europe oil demand to decline by an average rate of 0.5% between 2014 and 2020. Continued vehicle efficiency gains, a weaker macroeconomic outlook for the region, and shrinking demand for oil from non-transport sectors all point to a continued incremental fall in the requirement for oil. Despite a near 20% drop in oil consumption over the last ten years, the EU’s dependence on oil imports remains stubbornly high. Despite a near 20% drop in oil consumption over the last ten years, the EU’s dependence on oil imports remains stubbornly high. According to latest data from Eurostat, the EU’s oil import dependency rate in 2013 was 87%. Consumption has been falling, but so has production, and import dependence has grown from around 80% to nearly 90% over the last decade. The UK and (non-EU member) Norway are Europe’s two significant oil producers, extracting oil from the North Sea, and here production is declining. UK output fell from 1.7 mbd to 0.8 mbd between 2005 and 2014, while in Norway it fell from 2.9 mbd to 1.9 mbd during that period. Norway’s output is not counted as EU production, but the drop in UK output has led to a fall in the EU’s total output from 2.7 mbd to 1.4 mbd between 2005 and 2014, representing a drop of nearly 50 percent. Even by including Norwegian output as domestic European supply, Europe’s import dependence still only falls to around 80 percent. 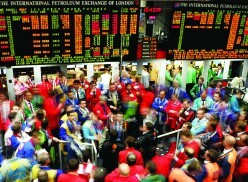 Europe is therefore facing a future of dependence on oil imports from outside the region. 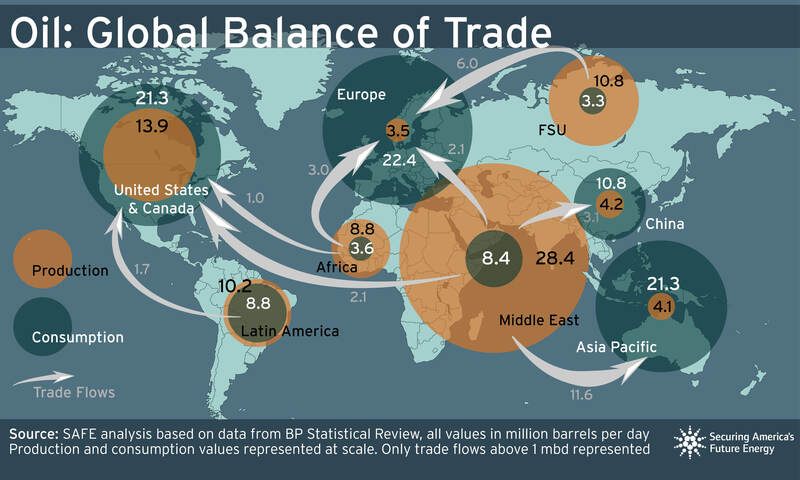 The bulk of EU oil imports originate from Russia, other FSU countries, and the Middle East and North Africa. 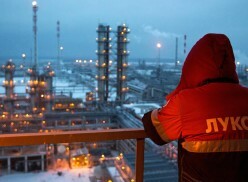 Russia is a major exporter of oil to Europe, as it is for natural gas, and last year it was the source of 29 percent of the EU’s oil imports (around 2.9 mbd). 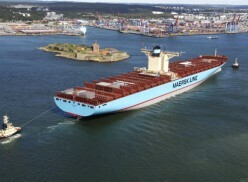 Norway (13 percent), Saudi Arabia (9 percent), Nigeria (9 percent), Kazakhstan (6 percent) and Iraq (5 percent), Algeria (4 percent) were other major suppliers. Iran supplied around 6 percent of the EU’s oil imports in 2011 (before sanctions were imposed), around .6 mbd. Libya supplied 11 percent of Europe’s oil imports in 2010, the year before the anti-Ghadhafi uprising, and Libyan supply has been volatile since. In total, the EU imported 10 mbd of crude oil in 2014. Although Europe has been able to replace the loss of Iranian and Libyan barrels in the last few years, there are still energy security and economic implications of Europe’s high rate of oil import dependence. Indeed, despite oil demand contraction, the EU’s import dependence has actually increased and in 2013 petroleum imports cost EU member states around 300 billion euros. The oil price collapse will have reduced the import bill in 2014-15 but a low oil price environment cannot always be guaranteed. With domestic production on the way down and prospects of a US-style shale oil boom remote, Europe’s oil import dependence will therefore remain high, even with a continued fall in consumption. A high rate of import dependence may be a fact of life, but further inroads could be made to reducing oil demand through policy measures that would not only cut the cost of Europe’s energy imports but also meet the EU’s climate policy objectives. The general policy environment in Europe points toward further contraction, if incremental, in oil consumption. The general policy environment in Europe points toward further contraction, if incremental, in oil consumption. EU regulations aimed at reducing CO2 emissions from vehicles also have the effect of improving fuel economy, and CO2 standards for new cars were introduced in 2009, and for vans in 2011. In 2013, these standards were revised, and a target was set of 130 g/km of CO2 for cars by 2021, and 147 g/km by 2020 for vans. The EU estimated that the resulting improvement in the fuel economy of vehicles will involve a cut in oil consumption of 160 million tons between 2020 and 2030. The EU also has a longer-term objective of cutting transport sector emissions by 60 percent by 2050, which would imply further improvements in fuel economy after 2020. However, emissions standards alone will not be enough to make a significant dent in the region’s overall oil consumption. The European auto sector is heavily dependent on diesel fuel. In the late 1990s, the European car market shifted decisively toward diesel to achieve better fuel economy and CO2 emissions performance. Diesel benefited from policy support, such as preferential tax treatment, to facilitate this shift. In 2014, diesel-fueled cars accounted for a staggering 53 percent of European car sales, compared to a market share of just 3 percent in the U.S. However, the Volkswagen emissions scandal has cast doubt among some industry commentators on the future of diesel as a key transport fuel. Although better performing than gasoline in terms of CO2 and fuel efficiency, diesel also emits air pollutants and emissions testing for diesel cars will now likely become more stringent. A shift from diesel could, in the longer term, open the way for greater sales of hybrid, electric and natural gas vehicles. The EU market share of hybrid and electric vehicles is small (1.4 percent for hybrids and 0.4 percent for plug-in hybrid and battery electric vehicles). Natural gas vehicles (NGVs) are another option, although market share is just 1.8 percent. Nevertheless, the market share of hybrid, electric and natural gas vehicles is higher than the EU average in countries where they have been promoted. The Netherlands and Norway have higher hybrid and EV market shares, while in Italy the market share of NGVs is much higher. 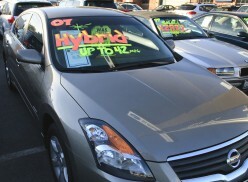 In Japan, hybrids accounted for 20 percent of car sales in 2013. Although sales of alternative vehicles in Europe are growing rapidly in absolute terms, market penetration is still small. However, there is potential for faster growth with the right policy measures. Renewable fuels is another option, and emphasis is being increasingly placed on the development of second-generation biofuels (non-food feedstock), largely due to doubts about the net environmental benefit of producing fuel from food crops. Currently renewable fuels account for about 5 percent of EU transport fuel demand, and this could rise to 9 percent by the end of the decade due to a 10 percent target to be reached by 2020. Unlike the US and Brazil, the EU is a net importer of biofuels, so emphasis on domestic second-generation fuel makes more sense in the longer term. There is further scope to reduce oil consumption in all sectors of the European economy, even if this obviously will not eliminate the need to import oil completely. The EU stated recently that “there is no immediate threat for the EU in relation to its oil supplies” due to the global interdependence of oil consumers and producers. To some extent this is correct. But the EU’s oil import dependence will remain acute, and costly when oil prices are high. There is, however, further scope to reduce oil consumption in all sectors of the European economy, even if this obviously will not eliminate the need to import oil completely. It is becoming generally accepted among policymakers that meeting energy security and climate change policy objectives through demand side solutions are mutually reinforcing. This presents an opportunity to implement policies that will impact Europe’s oil consumption matrix over the next few decades, just as Western governments did after the OPEC price spike in the 1970s.